Professional Business - Commercial Law Attorney - Lawyer, providing experienced Business and Commercial Law legal services in Lakeland, Winter Haven, Bartow, and Polk County Florida. From the moment an individual or group chooses to launch a business, there are many areas which require the advice or assistance of an experienced business law attorney & lawyer. From business formations, business planning, tax structuring, and lease & acquisition issues, to contracts and civil litigation issues, The Law Office of Joseph A. Morrison is ready to assist you in all business and corporate law legal issues. Or firm is well equipped to assist in employee and independent contractor relationships, trade name and trademark, shareholder agreements, operating agreements as well as non-compete agreements. In business operation matters, we facilitate your contract needs, including distribution, licensing, real estate, non-compete and a broad spectrum of other commercial agreements. Joseph A. Morrison, an experienced business law attorney & lawyer, assists Lakeland, Winter Haven, Bartow, and Polk County Florida businesses with legal issues and disputes regarding business, corporate, or commercial law matters. We are committed to providing each of our business, corporate, and commercial law clients with the highest standard of legal representation while using every available resource to protect your legal rights, options, and interests. Contact The Law Office of Joseph A. Morrison to schedule a confidential legal consultation. We urge you to be proactive when it comes to your legal rights by seeking the legal advice and representation of an experienced business law attorney or lawyer as soon as possible. 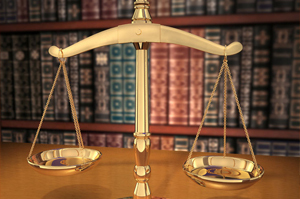 If you are dealing with business, corporate, or commercial law legal issues in Lakeland, Winter Haven, Bartow, and the Polk County Florida area, make sure your legal rights are protected by seeking the legal advice of an experienced Lakeland business law attorney & lawyer by contacting The Law Office of Joseph A. Morrison.